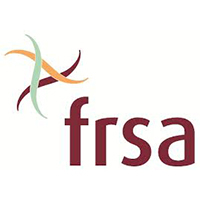 The Family Relationship Services Australia (FRSA) Conference is the must attend event for anyone supporting families. In 2014 the conference is coming to Adelaide and will focus on prevention and early intervention strategies to ensure the future wellbeing of Children, Families and Communities across Australia. The Conference brings together practitioners, senior executives, leading academics, Ministers, key government representatives and industry experts to discuss and plan the future of service delivery under the Family Support Program and across the whole human services field. The Conference includes 5 Keynote presentations, 5 facilitated panel discussions, 4 pre-conference workshops and 65 concurrent session presentations, which explore the changing role of community service organisations in supporting the wellbeing of Children, Families and Communities into the future. We are also pleased to announce that Dr Claire Ralfs, Director of the Australian Institute of Social Relations and co-author of the Family Law DOORS, will be facilitating a pre-conference workshop which will show participants how to implement the safety and wellbeing risk screening tool in their organisation. This one day training program will be held on Monday 3 November 2014 at the Adelaide Convention Centre. Implementation of DOORS in your firm, service or organisation. Professionals may also be able to use the training day towards their Continuing Professional Development units. Professionals should liaise with their relevant professional organisation about mandatory requirements.